This tool simplifies installation of the USB drivers for Libusb and FTDI D2XX drivers for your devices. Simply select the device from the list, right-click, select the desired driver type and the tool will do the rest. No need to modify INF files, no need to click through multiple stages of Device Wizard, just one click and your drivers are installed! 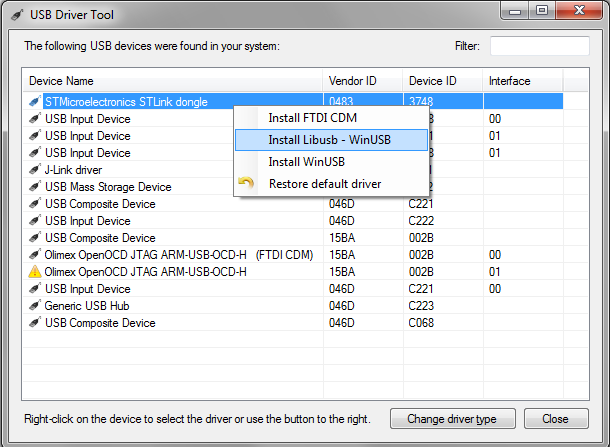 UsbDriverTool is free for commercial and non-commercial use.